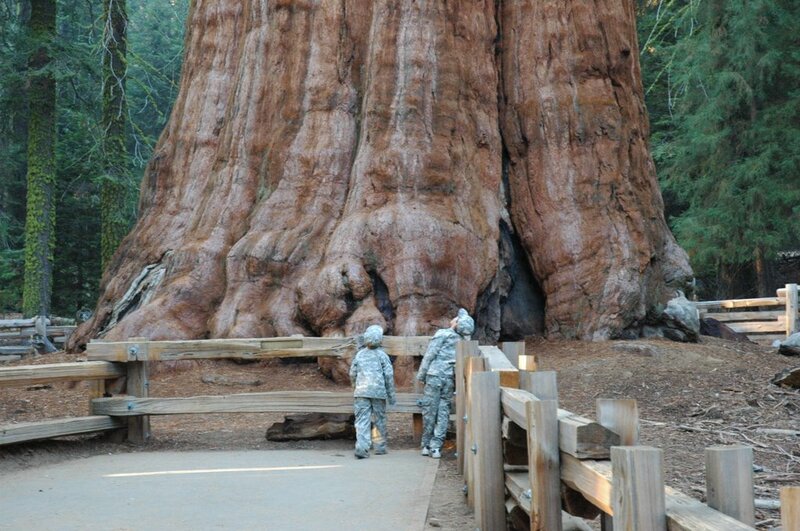 The General Sherman is the largest tree in the world. It is not the tallest, oldest or widest but it is the largest tree by volume. 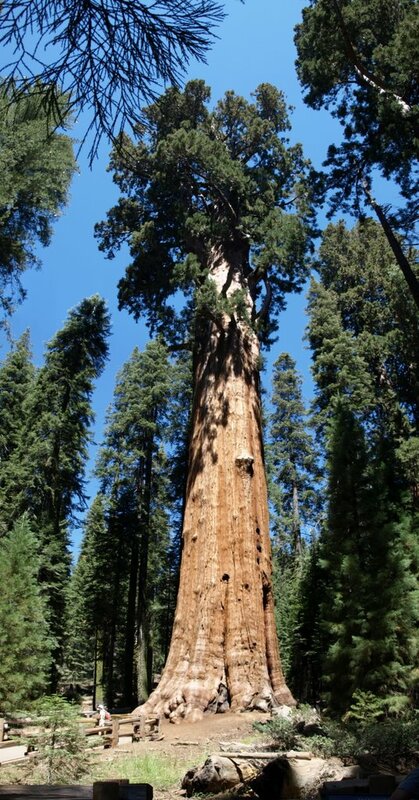 General Sherman is both tall and large in diameter and, in particular, holds a large diameter high up the trunk. This is what results in biggest wood volume in the world. Despite not breaking the record in other features, it is still among the tallest, widest and longest-lived of all trees on the planet. The tree is 2,300–2,700 years old with a height of 83.8 metres (275 ft), a diameter of 7.7 metres (25 ft) and an estimated bole volume of 1,487 cubic metres. 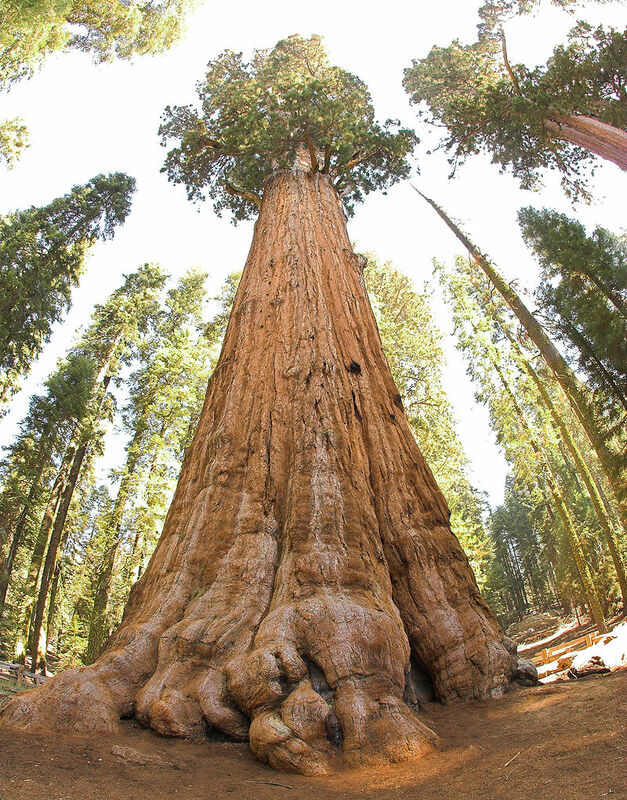 While the General Sherman is the largest currently living tree, it is not the largest tree known to humans. The Crannell Creek Giant, a coast redwood near Trinidad, California, is estimated to have been 15 to 25% larger than the General Sherman tree by volume. The tree was cut down in the mid-1940s. The General Sherman is located in the Sequoia and Kings Canyon National Parks, California. You can access the park from both sides of the mountains by car but to see the tree, you must choose the western side. Inside the park you can either use the freee shuttle bus to get to the tree or you can drive to the parking lot ½ mile from the tree. The trail from the parking lot to the tree goes downhill and has some stairs. Handicapped parking also available closer to the tree.